The Popular Kanda Lasun Masala is a spicy wonderful blend of spices commonly used in most of the regions of Maharashtra. It is used mostly in non-veg dishes as well as veg dishes for that spicy and hot taste. 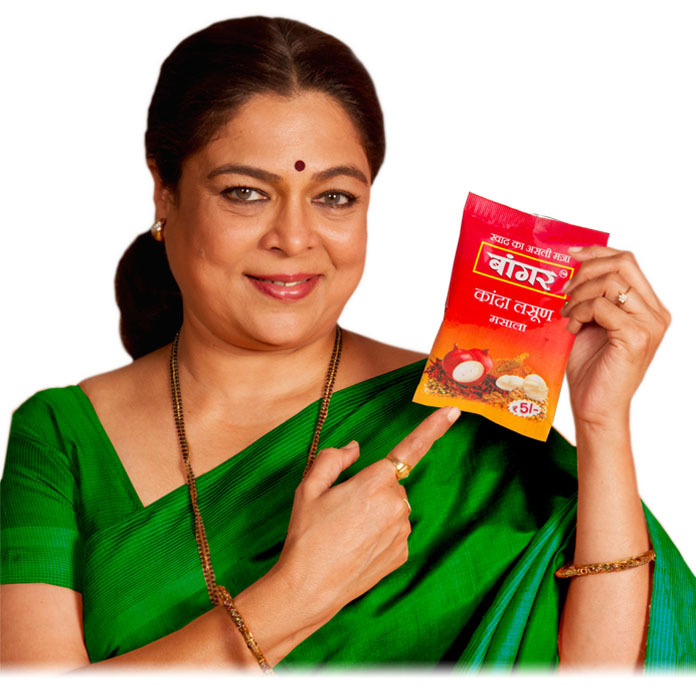 Bangar Kanda Lasun Masala is a perfect blend to prove the same. As only spices are used in this blend it is used in both Non veg dishes as well as veg. dishes which requires reddish and hot gravy. Most commonly used in making usal & misal. Chilli, Onion, Coriander, Common Salt, Ginger, Garlic, Turmeric & Edible oil. Usal - Wash and soak 300 grams of chawli beans in enough water overnight. In a pressure cooker add enough water and cook the chawli beans till very tender to touch. In 2 tbsp oil fry 2 chopped onions. Add 2 tbsp Bangar Kanda Lasun Masala, 1/2 cup grated coconut, cooked chawli, 1/2 cup water and salt to taste. Mix it well and cover the lid and let cook for 3 minute. Serve with coriander sprinkled on it. 10 g, 50 g, 100 g, 200 g, 500 g & 1 kg.